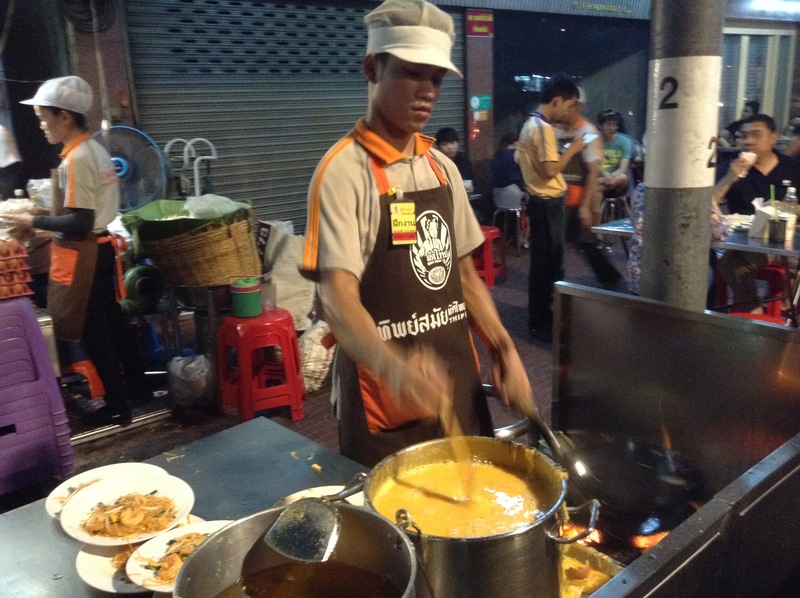 Pad Thai, a Thai-style noodle, is one of the most famous Thai food in Thailand. 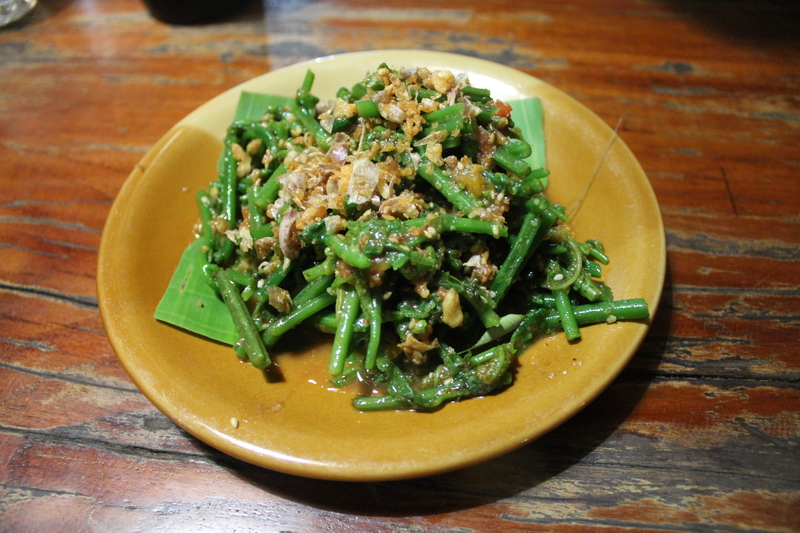 At every corner, there are always street food restaurants selling this extremely popular dish. Every tourist has it during their journey. 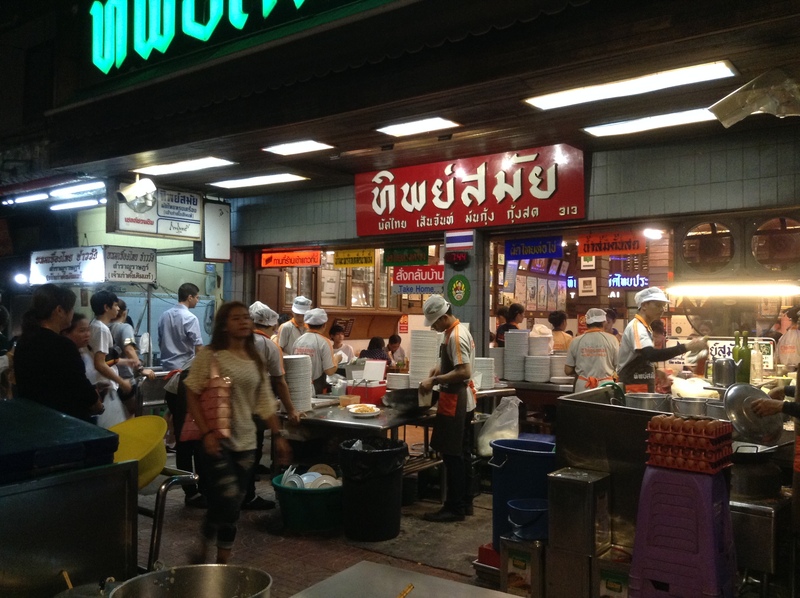 Pad Thai is one of the first food they remember the name and manage to order by themselves. Of course locals have it often. You will never find the restaurant which doesn’t have it on the menu. 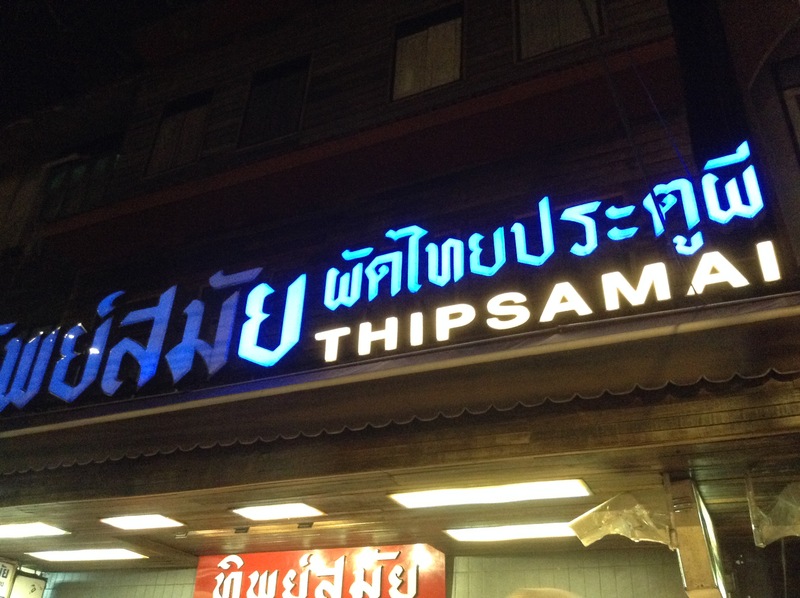 Among all those prevalent Pad Thais, Thip Samai makes the best. 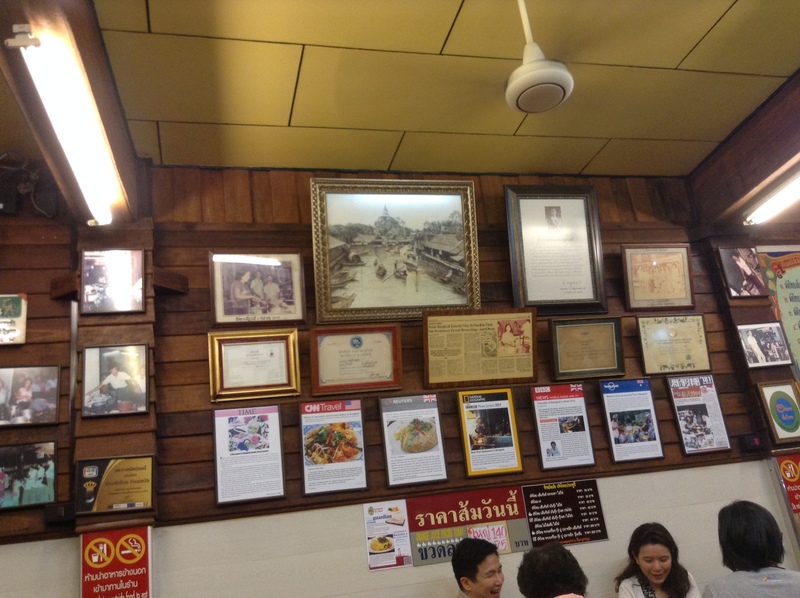 It is located on Maha Chai Road, which is about 5 minutes drive from Khaosan Road. There is always a long queue in front of the place, including a lot of locals. Employees restlessly move their hands and cook each part of the process. There are only a few kinds of Pad Thai on the menu. 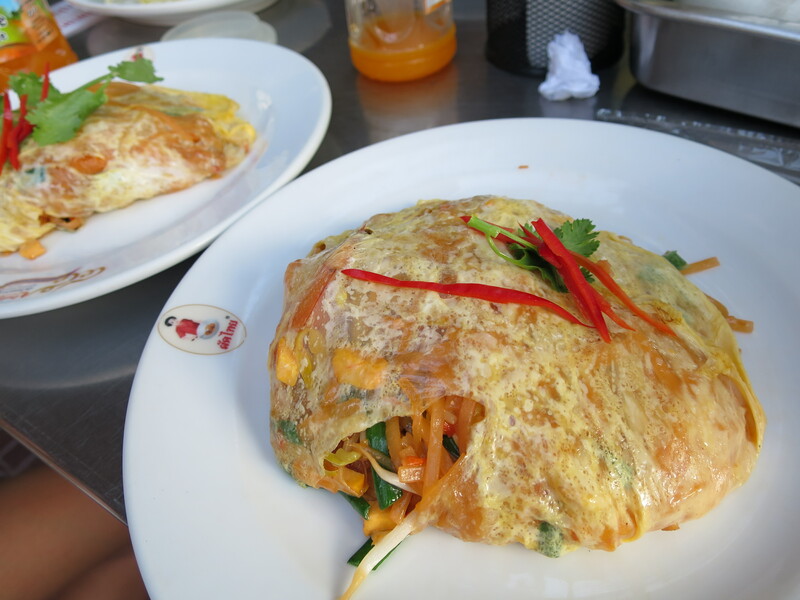 What I had is the one with shrimp and wrapped with egg (60baht). 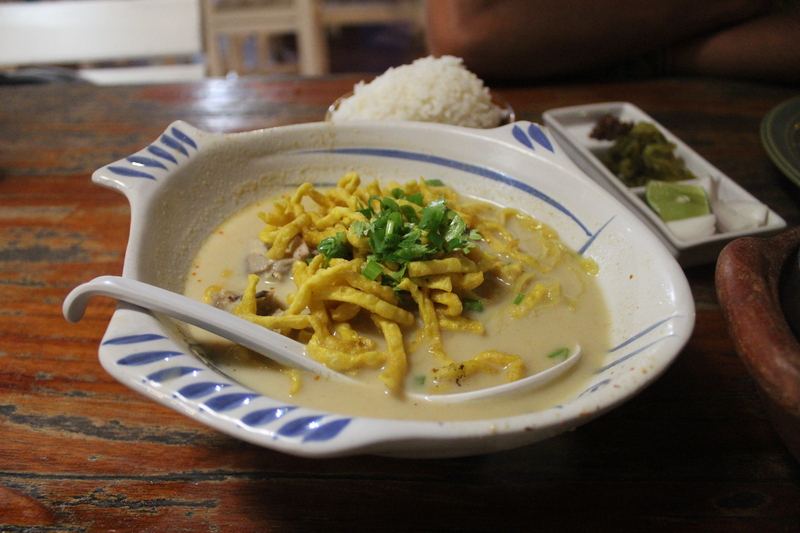 Unlike many other Pad Thais, Thip Samai makes it creamier and soft, using sweet thick source, and the wrapped egg makes it special. Being close to the major tourist attraction Khaosan Road, this place should definitely be on your bucket list in Thailand.